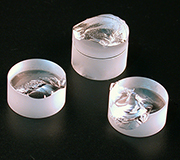 Molecular Fusion™ is the Spectral Optics proprietary technique for permanently bonding optically contacted surfaces. This highly flexible process produces components that are stable and physically robust, with no adhesives or other materials introduced at the coated surface. The result is the damage threshold of an optically contacted interface with the mechanical strength of a solid component. Thermal matching is maintained, allowing component use over a wide temperature range. Molecular Fusion™ also permits the fabrication of novel structures, creating a new category of coated optical components. Attempts at mechanical separation of Molecular Fusion™ bonded parts result in fracture of the bulk material before failure of the bond. 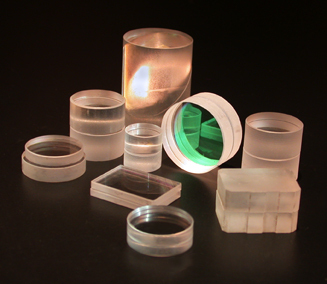 The Molecular Fusion™ technique has already been used by Spectral Optics in a large range of applications, and many more new and innovative uses are under development. The approach can be used on both uncoated and coated surfaces with no negative effects on their optical quality. It is even possible to bond rough-ground parts using Molecular Fusion™ ! For requesting a quote, please click here.